Figure 1. 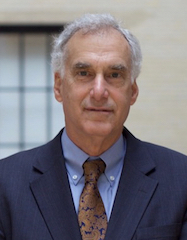 David Goldston, head of MIT’s Washington Office. This means that scientists can amplify their voices by convincing the public that science matters. Goldston says this can be done on a local scale through science outreach and communication (even social media), or in a more organized way through professional societies, like the American Association for the Advancement of Science (AAAS). It’s also important to remember that scientists’ voices as citizens matter! Contacting elected representatives and voting at all levels—remember, local elections are just as vital for effecting change as national elections—can make a real difference. Goldston notes that national outcry from graduate students was at least partly responsible for the removal of the clause affecting graduate student taxes from the US tax bill. Finally, for those who really want to be in the room where it happens, you can volunteer time or money for election campaigns, or even offer to help elected representatives with specific scientific issues (Goldston suggests that this might be easier to do on the local or state level). And there are several professional fellowships and other opportunities (see a partial list here) for those hoping to get involved in science policy as a career. With a degree in history, Goldston started his career as a newspaper reporter. He then moved to DC as a press secretary for Congressman Sherwood Boehlert. Rep. Boehlert was on the US House of Representatives Science Committee, so Goldston moved to the committee staff and began working on federal funding of university research. In the 1990s, he became Boehlert’s legislative director, and led successful efforts to maintain environmental protections that conservatives were trying to roll back. If you’re interested in learning more about science policy and what you can do to get involved, check out David Goldston’s talk at 3:40 PM on Friday, 12th January at #AAS231!